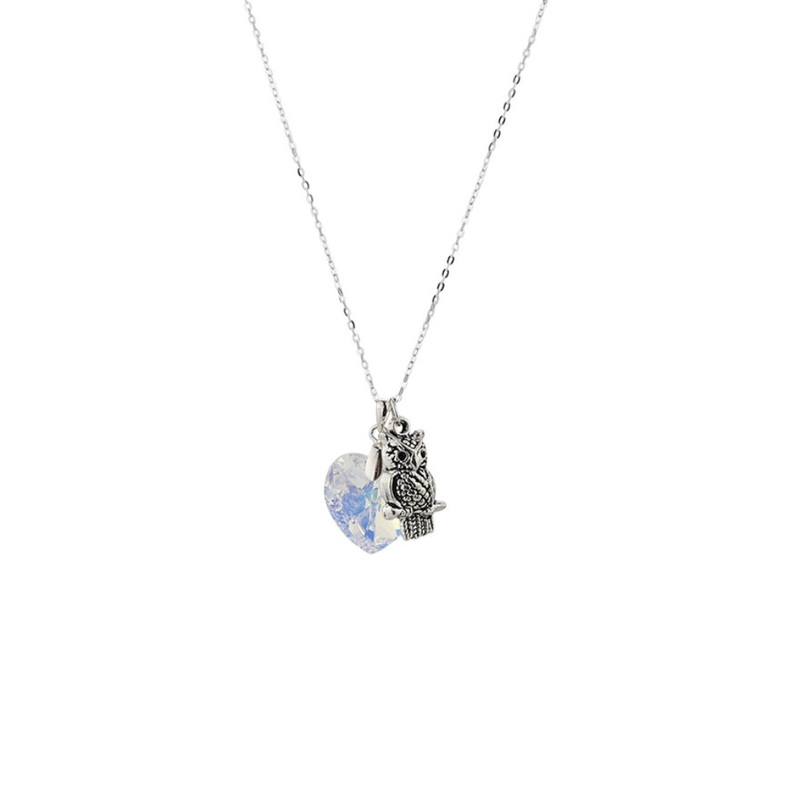 Add some glitz and glamour to any outfit with this owl charm and crystal heart necklace. This owl necklace has a Swarovski crystal heart which allows the necklace to shine beautifully in the light along with the owl charm which sits nicely on a silver chain. Presented in a gift box this necklace is the perfect gift for animal lovers.